We are pleased to provide and support ProDoc for use in over 50 legal education institutions in Texas and Florida. Students enrolled in various law, paralegal and legal secretary schools are learning to use our software in their classrooms and computer labs. Our aim is to provide the same high level of Customer Support to our schools as we do for our customers. Our Customer Support department supports our schools program. We've even expanded our Customer Support staff in order to meet the combined needs of our customers and schools. The Customer Support team focuses its effort on helping school administrators ensure that the most current version of ProDoc is properly installed and is fully functional. Each school also receives from us necessary teaching aids including ProDoc software manuals, tip sheets, and other instructional resources. Additionally, our Customer Support team offers each school an opportunity for training of their classroom instructors in all aspects of ProDoc. Their instructors receive the same caliber of training that we offer to our customers. Finally, we provide ProDoc, its General Practice forms libraries, and the PowerPack and Small Office Suite (SOS) software programs at no cost to qualified institutions of legal education in Texas and Florida. 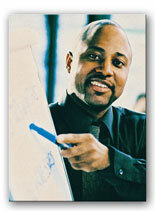 Law schools, legal secretary and paralegal educational programs in Texas and Florida. The directors or instructors of these institutions should contact our Customer Support Department to sign up for this important program. There is a demand for ProDoc-trained attorneys and legal support staff. Our schools program helps ensure that the trained staff is available when you need them.